Every time a grill involved, I think "Life is good." This weekend I got to grill all sorts of goodies: salmon, portabella mushrooms, corn on the cob, and my newest friend, grilled leeks. 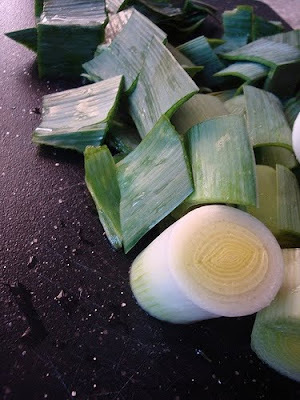 Leeks are a vegetable in the onion and garlic family. This might not sound appetizing to eat on it's own but their flavor becomes more subdued when cooked. Imagine a smoky flavor, with olive oil, salt and good goat cheese crumbled on top. Delicious. Chop leaks, or leave in long sheaths if you prefer. 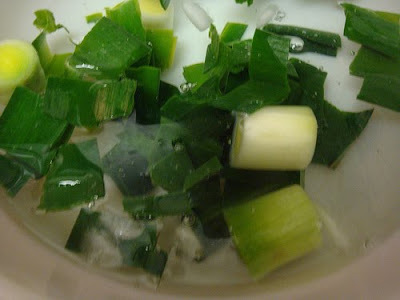 The white and light green stalks are the parts good for eating. Just make sure you give them a good thorough rinse as a lot of dirt can get caught in the layers. 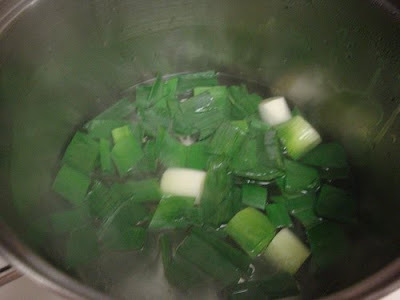 Place in boiling water for about 3 minutes, until slightly softened, but not cooked through. Remove from heat, and place directly in ice water to stop the cooking. 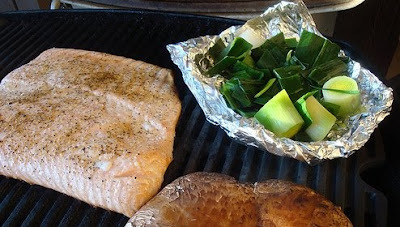 Grill on foil, until the thickest part can be pierced easily with a knife. Top with olive oil, salt and crumbled goat cheese.